Escaping the default – in acting and in life. Not long ago I was working as director/ teacher with an otherwise highly promising young actor when in an emotionally intense moment in a scene, something happened. Her eyes went soft and wet, and she looked vulnerable. Her body became tense, and she looked stuck, lost in some kind of feeling . She was clearly feeling emotional but it was completely inappropriate for the role or for the moment. I stopped the scene and asked her what she was doing. She said she didn’t know. I told her I had seen that look from her before both in class and in performance. She told me with a smile that it was her ‘default’ . I had never heard this term before used in this context but it seemed completely appropriate. What is the default? Well we could call it a ‘trick’ or a ‘habit’ but it is much more than that. It is what an actor does when they have to convince themselves and the world they are acting well, usually when they have lost their way with the character or the moment the character is in. It is a place they go which makes them feel intense. It makes them feel something so, appropriate or not, they go there. For this young woman, for many other people I have taught, and for me too when I was a young actor, this default had very similar manifestations. I would look down and this very intense look would come into my eyes. I would look vulnerable or angry. My whole body would tense up. Importantly I could radiate [project] this feeling very easily which made me feel powerful and convince me I was really acting well. Unfortunately this impression was often enforced by my peers. Looking back now it had something akin to being emotionally constipated and actually having no clue what I was doing at that moment. What’s bad about this is that it actually FEELS good. The default mechanism locks the performer in what they act and how they do it. It keeps you stuck in your own rhythm rather than finding a rhythm for the character. How does that happen? Sometimes it is simply trying too hard. The default is something more than a habit though, more than just playing with your fingers or folding your arms. Sometimes it is something I suspect deeply psychological, a feeling that the performer has about themselves which stops them from exploring the character as fully as they might. It often comes when we are trying to act something which makes us feel uncomfortable either because we have no knowledge of it or we repress it in our own personality. Over my years of teaching Ensemble and Devising at NUI Galway I became more and more aware of how the patterns of our own movement restrict and hold us, trap us within our own personality, just as much as these emotional locks which are the default, in fact they are all part of the same thing. And this restriction not only has ramifications for acting but for our everyday lives and development. Chekhov technique gives us a wonderful opportunity to open this door and free ourselves from the default but like all techniques you can watch the students do brilliant work in workshop where they push their own physical and emotional boundaries (by this I do not necessarily mean weeping and wailing !) but so often they then get a script in their hands and much of the good work vanishes and the default returns. Why does that happen? I feel it is perhaps because somewhere inside us our body-memory pushes us into forms of movement and behaviour which have been there through our lives; because there is something that pops up in our egos that encourages us to show off or accentuate an aspect of our emotional lives which perhaps pushes us into acting in this way. It might also be that the actor is simply lost and goes to that ‘default’ place out of fear or self protection. This default behaviour can often be witnessed in all levels of production, because one of the first things that happens is that the actors do not truly radiate and communicate to their fellow actors and when watching you get no sense of the energy moving between them. Therefore however intense the actor may appear in their default they are not sharing their experience. Sadly, I believe I watched a good bit of this default acting in the production of Antigone I saw on BBC4 the other night. When suddenly an actor joins up the dots as someone did in rehearsal for my student production of MORE LIGHT last night and with a wide light opening gesture the character told her story about her revelation about art and society, you sense a door opening and the actor avoiding her ‘default’ and finding a new way to be , not just for the character but also a new choice for herself. And this leads me on to where I feel the effect of the default can be lessened; by young performers getting a stronger sense of self, not in a narrow egocentric sense but a wider imaginative sense . Exploring the Imagination voice and body primarily is the only way , not merely as a skill set but a way for the young performer to find their range and power both as an actor and as a person. We must alert people quickly to the power of the imagination to enable them to transform and help them to develop it. We need to assure them it takes hard work, but it is both challenging and joyous. Of course, in the ‘business’ it can often be the case that people make careers out of their default position. They become recognisable types, able to plumb a degree of intensity, but it is an intensity which never develops or changes. However they can sometimes make a career from it, and perhaps that is what they want. I do not believe that is enough when the work has so much more to offer. Happily the young actor who gave me the default term and with whom I began this piece, found new ways to find her feeling and power and gave a splendid and mature performance . This entry was posted in Uncategorized and tagged Acting, Acting challenges, Chekhov Technique, More Light, Theatre Training on April 27, 2015 by maxhafler. 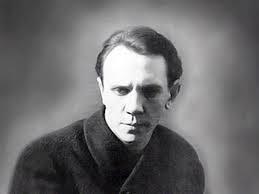 At last I was given The Path of the Actor for my birthday – Michael Chekhov’s autobiography written when he was only 36. Whilst Chekhov’s classic acting technique texts To the Actor and On The Technique of Acting give you a strong sense of the man himself, this beautiful, honest and moving book gives me a real sense of the roots of his life and personality which helped give birth to his amazing work. 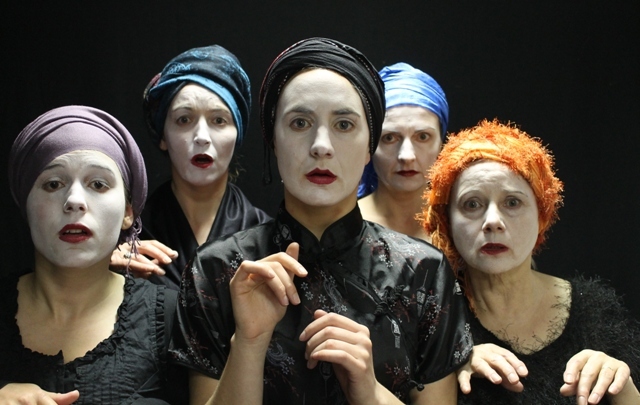 It is a moving experience and I would recommend it to any Chekhov student. Unlike Peter Brook say, who never seems to explore his own personal world or indeed his failings in any of the books about or by him that I have read, and despite his undisputed genius always appears a kind of distant guru, Chekhov’s painful human description of his breakdown, family relationships, alcoholism, exile etc gives insight into how the artist found his path , a path that was not always clear and defined, but was a path never the less . All the personal episodes trace back however to the ‘spine’, his work, his feelings about it, and the way in which he developed his technique which give a real ‘feeling of the whole’ to his experiences. Whilst I am sure the biography is selective, and some traumatic episodes are undoubtedly left out, there are enough difficult and embarrassing episodes remaining to admire his honesty, openness and directness. Chekhov is not afraid to look challenged or foolish or strange, as many respected actor/ director theorists might be , and yet at the same time he is not being indulgent or egocentric and apologising for his behaviour or his ideas. He does not obfuscate, he illuminates. He has this amazing faith in the wonder of artistic creation that any attempt to explain it does not diminish that wonder. What comes over to me as I read, is this archetype of the Searcher. it is a spiritual search in the broadest sense. Autobiography is a powerful tool of exploration. In my personal experience, and I am not trying to compare myself here, an extraordinary thing happened to me on my birthday when I played some radio essays I had done for RTE ( the Irish broadcaster) for the assembled guests. I had recorded them over a decade earlier and they explored something of my own approach to creativity, and my life as an actor, director, teacher and playwright, beginning when I was in a play when I was 8. As I listened to one or two of the more painful episodes in this series of essays I was again reminded of the way the events had fuelled my attitudes, and shaped my path. The very form of the essays was restrictive and the form forced a narrative. Was the narrative really there as clearly in the reality of my life? There were some aspects I did not use, both high and low experiences, but nevertheless the thrust of my journey was as I experienced it, even though I was not able to discern it always as a journey at the time it was happening. Is form only something discernible in art, when we shape our lives through creative exploration? Or does it exist intrinsically of itself? Has my life a true form? Or does form only exist in art? Hmmmm. Maybe My life is a work of art? As Chekhov speaks of every action as ‘a little piece of art’ ? I remember when I recorded the essays, in the RTE studios in Galway. I sat alone in the studio on a sunny day and spoke to the director whom I think was in Limerick, on the telephone. There was no real human contact. It was strange. But when I had finished recording and walked out into the sun, I felt an extraordinary weight lift from my shoulders as if a part of my life had suddenly been explained to me. This entry was posted in Uncategorized and tagged Michael Chekhov, Peter Brook, The Path of the Actor on April 20, 2015 by maxhafler.